YARMOUTH PORT, Massachusetts, March 3, 2016 (ENS) – Today, on World Wildlife Day, the International Fund for Animal Welfare, announced that 34 young leaders in conservation and animal welfare from around the world have been selected from a pool of nearly 1,000 candidates as delegates to first global Youth Forum for People and Wildlife. The Youth Forum for People and Wildlife is both an online community and in-person conference for young leaders to learn, share and connect with people around the world as they explore animal welfare, wildlife conservation, and global commercial trade issues. 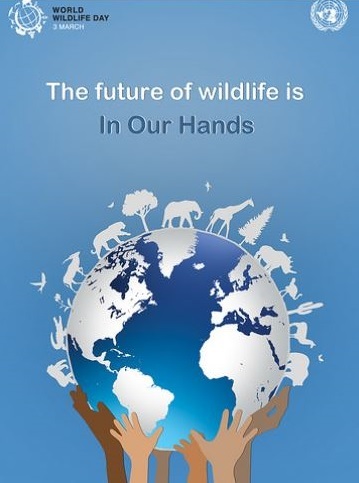 “In keeping with World Wildlife Day theme, “The future of wildlife is in our hands,” we are proud to announce the selection of this impressive group of young people,” said Azzedine Downes, president and CEO of IFAW. The 34 delegates, all aged 18-25 years-old, will become ambassadors and mentors to an online community, which anyone can join by going to www.ifaw.org/youthforum. The delegates will come together in South Africa in September to explore complex wildlife issues, share their diversity of experience and participate in professional development workshops. They will convene just before the 17th meeting of the Conference of the Parties to CITES, the Convention on International Trade in Endangered Species. Portions of the event will be streamed live for the online community, who will be invited to participate virtually in the gathering. Online community members can explore virtual exhibits showcasing Forum Delegates, partners and issues. They can network with students and young professionals involved in conservation, animal welfare and building sustainable communities around the world. Online participants can join topical groups and scheduled chats with delegates and experts, and they can tune in live to the Forum in South Africa this September – interact with delegate sessions, ask questions, hear speakers, and view presentations. IFAW is grateful for the support of many other organizations that helped make this conference possible, including Jane Goodall Institute, CITES, the South African Ministry of Environment, and the U.S. Fish and Wildlife Service. “We are delighted to see this group of young and talented conservationists get together just before CITES CoP17 in Johannesburg, South Africa. The survival of the world’s wildlife relies upon the actions of every generation. These youngsters are clearly taking their responsibility seriously, which is great to see” said Secretary General of CITES, John Scanlon. “CITES warmly welcomes this wonderful initiative and we will all benefit from the enthusiasm and many views that will be generated at this first Youth Forum for People and Wildlife, said Scanlon. “The Department of Environmental Affairs is confident that the Youth Forum will assist in building conservation leaders who will ensure that wildlife and communities are able to continue to exist side-by-side through sustainable development and the strong partnerships and bonds that we hope will be forged during the Forum,” said the South African Minister of Environmental Affairs, Edna Molewa.